Mark Zuckerberg announced 360-degree video support for the News Feed, which represents a new opportunity in the world of content. There’s a clear technology trend enabling people to share richer and richer content… Five years ago, most content on Facebook was text. Now it’s photos. Fast forward five years and it will be video. After that, it will be immersive content like virtual reality. Our future video experience on our Facebook News Feed is going to be different, because everything is going to come to life in 360-degree video. 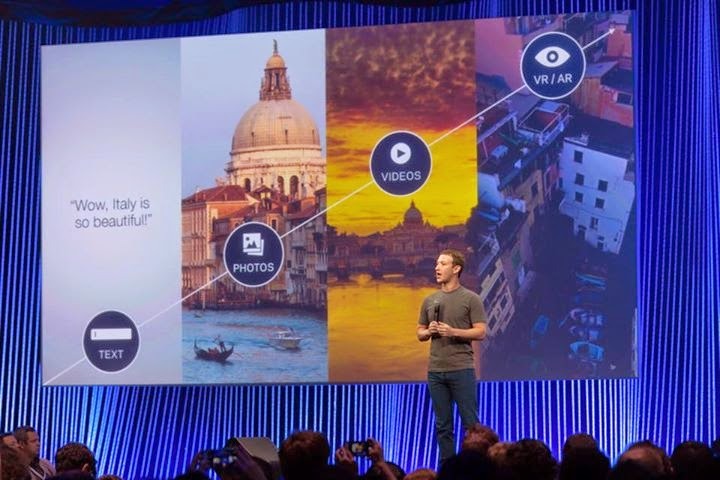 During the F8 Facebook Developer Conference, Mark showed how News Feed will support "spherical video" – video where you can change your viewing angle and feel like you’re really there. The incredible thing about the technology is that you feel like you’re actually present in another place with other people.